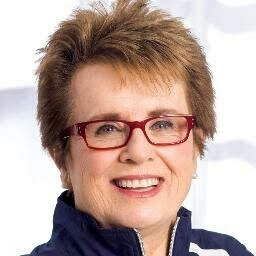 Champion tennis player and equality advocate Billie Jean King will be the keynote speaker at the June commencement for the class of 2017, the University announced Monday. King, an alumna of California State University, Los Angeles, has worked to advocate for LGBTQ rights and was awarded the Presidential Medal of Freedom — the highest civilian honor in the United States — in 2009, according to a news release. She was also ranked the top female tennis player in the world in 1968, having recently won the U.S. Open singles tournament and the Australian Open. In 1973, King founded the Women’s Tennis Association, demanding equal pay for female athletes. The same year, she defeated Bobby Riggs, the 1939 Wimbledon champion, during “Battle of the Sexes,” representing a watershed moment in women’s sports. King continued to advocate for women’s representation and LGBTQ rights in professional sports. She is a founder of the Billie Jean King Leadership Initiative and the Women’s Sports Foundation and sits as a founding board member for Elton John AIDS Foundation. “We honor what she calls ‘all the off-the-court stuff’ — what she did to broaden the reach of the game, to change how women athletes and women everywhere view themselves, and to give everyone, regardless of gender or sexual orientation — including my two daughters — a chance to compete both on the court and in life,” said former President Barack Obama while presenting her the Medal of Freedom. Commencement is planned for June 16 at Ryan Field.